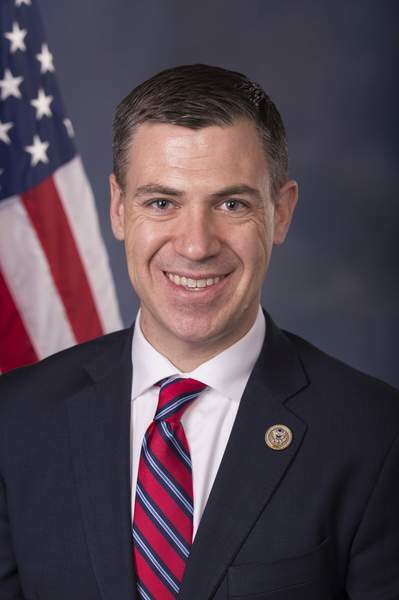 Freshman U.S. Rep. Jim Banks traveled Monday to the Guantanamo Bay Naval Base and prison in Cuba. Banks, R-3rd, was among several members of the House Armed Services Committee from both political parties, plus panel staff and Defense Department personnel, to make the fact-finding trip. His main takeaway from their tour of Guantanamo: Housing for the thousands of American ­forces stationed there is in desperate need of repair and renewal. “If we're going to keep it open, then we need to address the dilapidated buildings and poor conditions that our troops are currently using,” Banks said in a telephone interview after the delegation returned to Washington on a military aircraft. What about the condition of detention facilities for the 41 terrorism suspects from around the world? “I toured a number of their facilities today. They live in very good conditions; they're treated very well. That was a strong insight that I gained from my visit today,” Banks said. Nearly 800 people considered “enemy combatants” have been held at the prison called Gitmo since it opened in 2002. The Bush administration released 532 detainees, and the Obama administration released 198, according to the American Civil Liberties Union and news media reports. Banks said he agrees with the Trump administration's stated plan to keep using the prison. “I'm very comfortable with the mission. I'm very comfortable with the conditions and the way that the detainees are treated, which is probably better than most Americans would understand without seeing it firsthand,” he said. About 60 members of the Indiana National Guard are stationed at Guantanamo. Banks said he met with some of them Monday. Banks got back to Capitol Hill in time to vote in favor of legislation that would designate North Korea a state sponsor of terrorism and condemn that nation's development of intercontinental ballistic missiles. The House approved each measure on nearly unanimous votes.